Lest We Forget: The Minelayer Nusret. TCG Nusret. A swimming replica of the original. Today is the 98th anniversary of the victory of Turkish forces over the Allied Fleet in the Dardanelles. 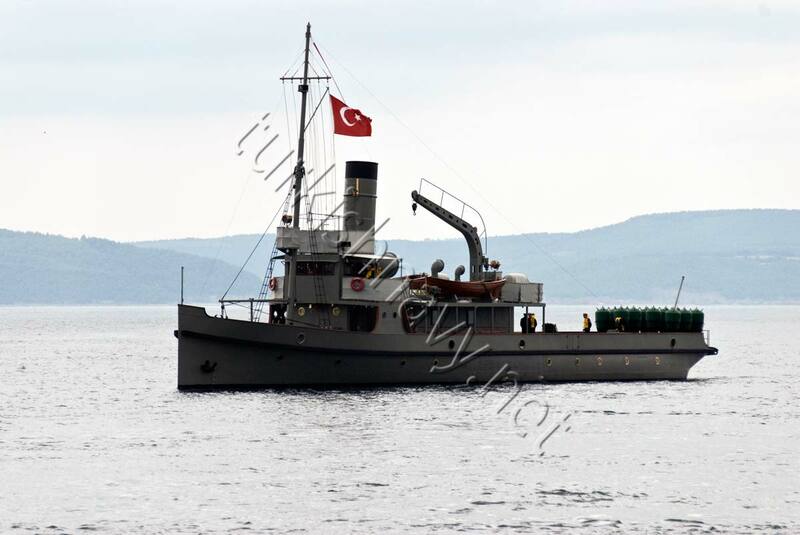 It is the proper time to remember this small minelayer constructed in Germany in service of Ottoman Navy as the mines she has planted changes the course of the history. Known as the Çanakkale Naval Victory, in Turkey, this battle effectively sunk (no pun indented) the hopes of the British Admiralty and Churchill to force the Turkish Straits and a quickly dash to Istanbul to occupy it. 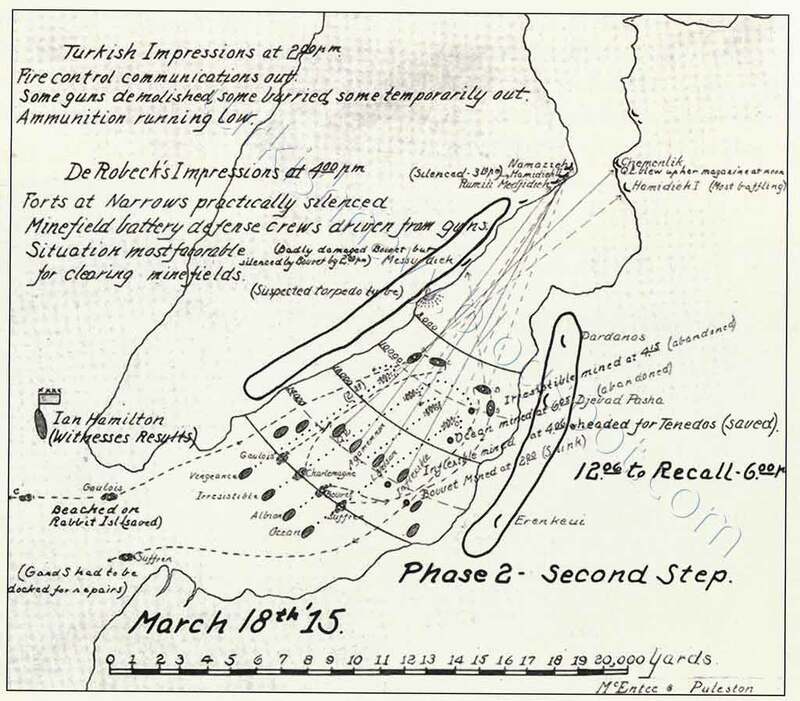 This Turkish victory forced the Allies to use ground force in order to bring Dardanelles under their control and led to the merciless Gallipoli Campaign. Churchill realized that if Allies could eliminate Ottoman Empire from the war, they could help Russia via Black Sea and could pressure Central Powers from the east as well. While the main of the British Army deeply entrench in Belgium and France and the most potent s capital ships loitering in the North Sea Allied Forces had few forces to spare for such a secondary and diversionary front. The plan of the British Admiralty was to bombard the forts that were protecting the shores of Dardanelles to annihilation and later clean the mines to open the way for Allied warships to sail to Istanbul. The order of the battle for the Allied fleet consisted of HMS Queen Elizabeth, HMS Agamemnon, HMS Lord Nelson, HMS Inflexible, HMS Prince George, HMS Triump, HMS Ocean HMS Majestic HMS Swiftsure HMS Vengeance HMS Irresistible, HMS Albion from Royal Navy, Gaulois, Charlemange, Bouvet, Suffren from French Navy. The fighting began at around 10:00 in the morning. Everything seem to be on the side of the Allied forces until at around 14:00 a small cloud of yellowish smoke, which turned black afterwards, came out of the starboard quarter of the Bouvet. She had struck a mine. The ship was in Erenköy Bay a part of the Strait previously cleared by Allied minesweepers and used by larger ships for maneuvering during previous engagements. In the night of 8th March Nusret created a single line of 20 mines in the Erenköy Bay. This line was unique as she was parallel to the shore. This new single mine line consisting of 20 mines, changed the whole history. During the heat of the action the Allied forces are not able to determine whether Bouvet hit a mine or was hit by a shell from a cannon ashore. At 16:00 first HMS Inflexible, 5 minutes later HMS Irresistible struck to mines laid in Erenköy Bay. HMS Ocean was ordered to tow the now abandoned HMS Irresistible. But she too hit a mine at around 18:00, followed moments later by a shell that penetrated to a magazine below the water line. Of the 16 capital ships that sailed in the Dardanelles that morning HMS Ocean, HMS Irresistible and Bouvet never returned. HMS Inflexible and Gaulios had to be beached at the near by small island in order to be rescued. Suffren heavily damaged by Turkish guns had to be docked at Malta for intensive repairs. This Turkish victory forced the Allies to use ground force to occupy the hills commanding Dardanelles in order to destroy the forts protecting the straits and mine fields. This campaign was too destined to be a defeat for the Allies. One Response to Lest We Forget: The Minelayer Nusret. In my opinion, a very good summary of the naval war in Canakkale.